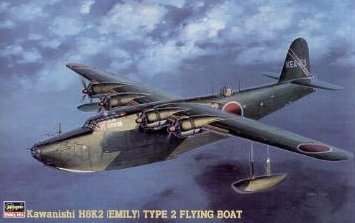 Here's a chance for you to purchase scale plastic model kits of flying boats from my own collection. Each kit for sale in this list is part of my own 'model stash' collected over many years and is offered for sale to raise funds for operating and hosting costs of the site. Each kit is inspected and packed by SEAWINGS and once sold, is gone for good. All sales are final and kits will be dispatched immediately payment has been received. Payment will be by PayPal only. I have described each of these kits as I see it in my hands, as genuinely as possible; however, if you wish to know more about the kit itself, then please use Google, or other means, to search for a kit review, however, if you have any questions concerning any kit's condition, please email SEAWINGS. Special Note: Pricing - I have tried to be as competitive as I can with my offer prices here. Obviously, if you can purchase the same kit from other sources such as e-bay or model forums, for instance, then you may get lucky and find an example a bit cheaper - or not, as the case may be. However, please remember that purchasing here gets you the kit without all that messing around, and serves to support your favourite flying boat website at the same time! As kits are added and sold, this list will constantly change; please check back often for that elusive bargain! £40.00 + £5.50 Postage within UK or £8.50 Europe.